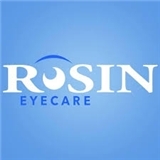 Rosin Eyecare (Chicago) - Book Appointment Online! For more than 80 years, generations of Chicagoans have relied on us for their eye care. Our dedicated eye doctors and staff are committed to keeping your eyes healthy and giving you the best possible vision. We offer comprehensive eye exams, glasses, and contacts, along with a variety of eye health checkups. Dr. Rosin and his talented team of ophthalmologists, optometrists and technicians in Chicago area work with you to ensure excellent eye health throughout your life. From our beginnings during the heart of the Great Depression to today’s advanced laser vision correction technology, Rosin Eyecare is always looking out for your eyes. Very good. She was prompt and more thorough in my examination (determining what correction power was needed) than previous years. Polite, funny & pleasant. She made this experience much more enjoyable than I was hoping. I'm going here for now on. This will be my forever office! Definitely coming back! I enjoyed my experience at the office!